Custom Orders — Oh My Lolli! Oh My Lolli! provides a unique opportunity for your business, event, or any message you want to say. 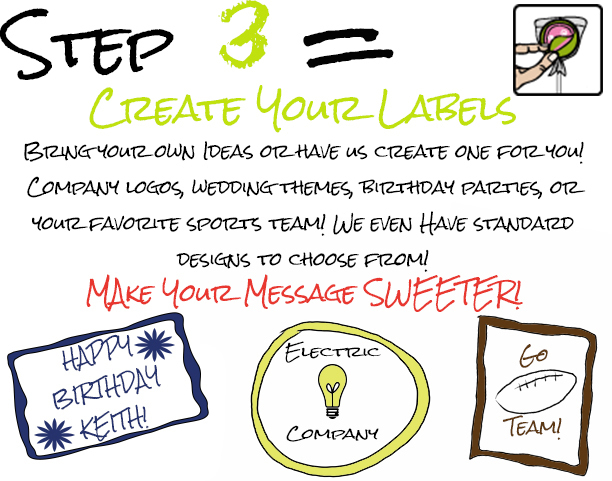 We can create a custom label design to make any message you want to say, well, sweeter! We also offer the opportunity for you to order a custom flavor batch and custom colors in the lollies. We also make lolli bouquets, centerpieces, and gift arrangements.